The Dolphin Board is designed for assisted and independent transfer from a wheelchair to the toilet. It has the additional benefit of remaining in position during toilet use. 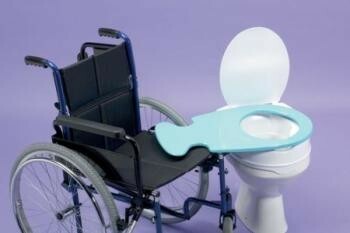 The wheelchair cut-outs allow transfer from either side of the toilet. Strong and lightweight, the board is rigid with no flex during transfer. Length 690mm (27"). Width at widest point 380mm (15"). Weight 1.65kg.